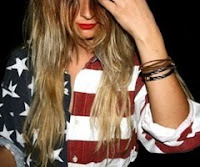 It's My Life: What happened to USA?? Guys, I'm so sad about this. I mean, girls of USA were my biggest and strongest audience and now I checked it out and only 9 persons from here entered my blog. Please help me telling people about my blog. If you like it, help me. Because my blog is who I am. I'm writing from my heart and you all know it. If you're bored already send me suggestions of what to talk about ok? USA you're my country please help me. Facebook: Blake Cornelia Hampton / Twitter: @blakechampton / Formspring: blakeitsmylife and Hotmail: blake-hampton@hotmail.com Please guys don't give up on me ok? Thanks.